U.S. Dumps Peanuts on Haiti. Good or bad? That's the wrong question. 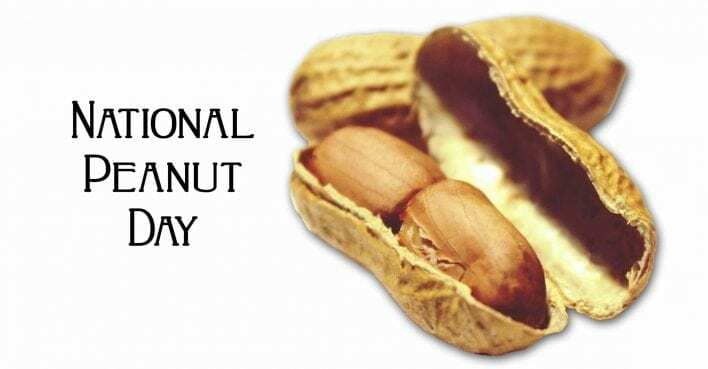 September 13th is National Peanut Day. In spite of being a delicious and nutritious food, peanuts are causing a sticky situation in Haiti. Is dumping peanuts on Haiti good or bad? That’s the wrong question. 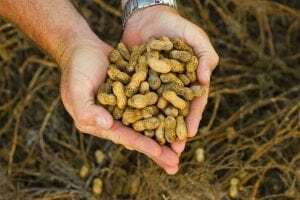 After two years of a bumper peanut crop in the U.S. that was brought about by price subsidies paid to farmers by taxpayers, the U.S. Department of Agriculture (USDA ) is shipping surplus peanuts to Haiti. On the surface, this seems like a good idea: kids are hungry, some starving. The U.S. has 500 metric tons of extra peanuts. Win-win right? One significant problem is that Haiti has a peanut industry. Both answers are right; kids are hungry and the influx could harm farmers. Like most messy issues, asking the right questions leads to forming long-term (messy, gosh this is hard) solutions. Why do U.S. taxpayers allow the payment of guaranteed prices (i.e, subsidies) to farmers — especially when subsidies encourage greed and the planting of unnecessary crops, crops we can’t even give away? Price subsidies encourage a misrepresentation of the true cost of food production to U.S. consumers. This has to stop. Price subsidies deflate world peanut prices to a level where low income farmers can’t compete in international markets. 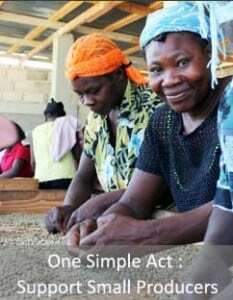 Farmers living in developing nations don’t get payment handouts from their governments. Flooding developing countries like Haiti with poorly managed U.S. crops ruins local markets and puts Haitian farmers out of business while ours prosper. Some think this is an intentional strategy … to make impoverished nations dependent on U.S. crops. How might we assist low-income farmers to build self-sustaining autonomy? That’s the best question here. If there is genuine surplus brought about by superior crop technology and mother nature, by all means, donate food to those in need but don’t just unload excesses; thoughtful support must be required to help low income farmers to develop robust agribusinesses of their own. In Haiti’s case, farmers need assistance increasing capacity of cash crops, including regenerating tired fields and soil, providing equipment to streamline production, and most importantly, transforming crops into higher value items and granting access to international markets. Singing Rooster adds value to Haitian cacao by transforming crops into #healthychocolatebars — Peanut Moringa chocolate anyone? Haiti was the third largest supplier of coffee in 1950. Singing Rooster (shameless plug) is helping to re-invigorate Haitian coffee. 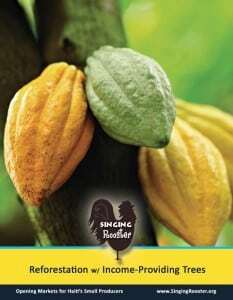 Haiti produces some of the Earth’s most desirable and rare cacao (raw form of chocolate) but processing techniques hamper export quality beans. Ditto. Haiti once had a robust sugar crop, and peanuts from the Artibonite / Cahos are world-class. For our part, we’ll eventually source peanuts from Haiti to put in our new #haitianchocolate peanut moringa bar! Because they lack manufacturing processes, many Caribbean nations like Haiti are dependent on exporting raw materials. This means manufacturing is key to helping farmers reap benefits of transformed crops. In Haiti’s case, a longer term vision of aid includes helping Haitians to transform peanuts into peanut butter, coffee into roasted products, cane into sugar, and cacao into chocolate. When farmers start reaping benefits from hard labor, developing nations won’t need welcomed or forced upon donations. While quick aid from US surpluses seem like a solution to hunger, it is not a long-term vision and can do more harm than good. While no one can deny the poverty or hunger that exists in Haiti, we can start making the just decision to nurture autonomy and help Haiti feed itself.